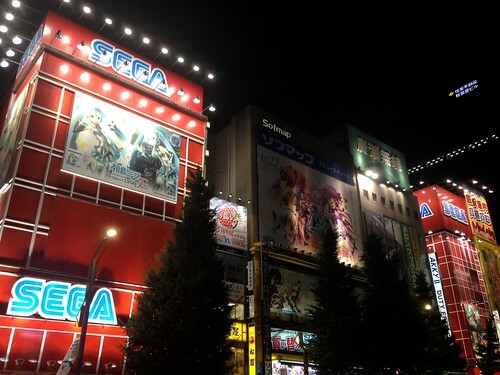 When there was not so much to do on a lazy day in Tokyo, I used to visit Akihabara, the Electric Town of Tokyo. Many times my friends from overseas asked for me to send them some goods or manga related merchandise, so Akihabara was the first place to come to mind. In my case, I went there for the videogames. 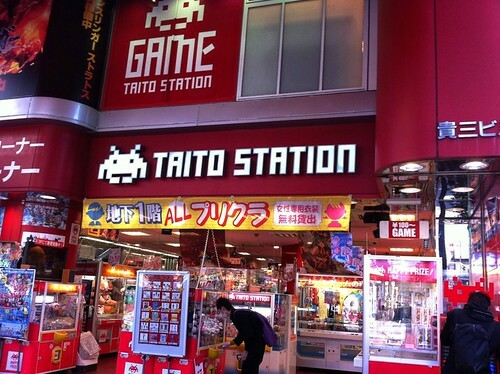 But my favourite part are the game centres, I could spend there all my day trying the latest games. Why Electric Town, is it because all of the videogames, computer, and electronic devices shopping heaven? In part, yes. 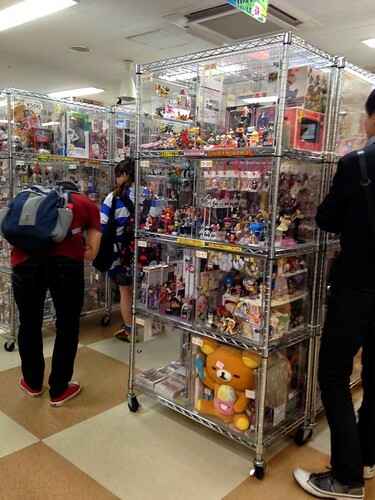 Nowadays, is better known by being the “otaku heaven” or mostly the place in Tokyo where you can find anything related to Anime, Manga, Merchandise and anything around it, also place for Maid Cafés all along the district amongst other particular shops. I’ll explain on this post why was it given the name of Electric Town. As I said, Akihabara is the craddle for Otaku merchandising, anything you can imagine probably you’ll find it there, just have to be persistent and enter the right shops. 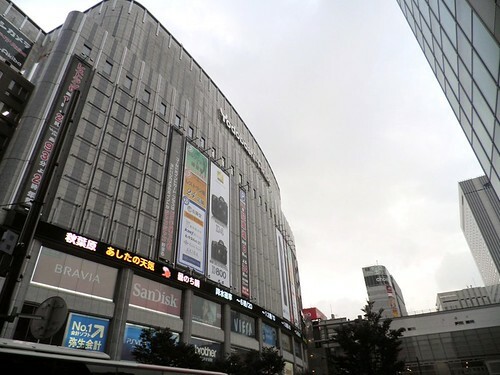 The name of Electric Town came from a period of time even before I was taught, it was given this name because after World War II Akihabara became the place to buy electronic goods and also post-war black market. (I found out about this sharing a beer with a local old man near Nihonbashi, but that’s another story…). Yodobashi Camera, an electronic shop in Akihabara. 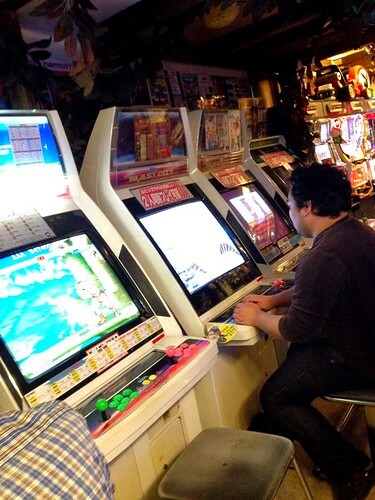 This are the places I spent most of my time while in Akihabara, checking my wallet searching for another 100¥ coin for another play. 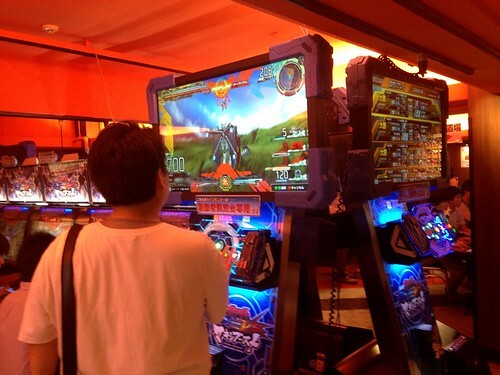 All kind of video games, racing, music, fight, arcade, old school, card games, Gundam, games fro all kind of publics. 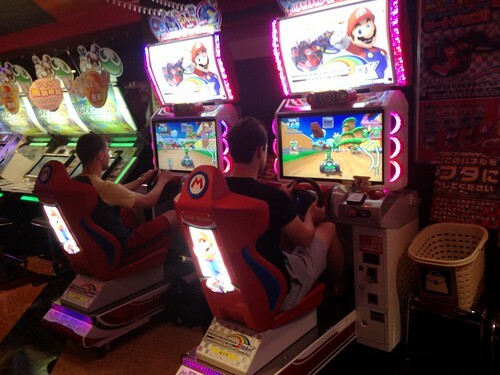 My favourites are the fighting and racing games, specially Street Fighter IV and Initial D Arcade. 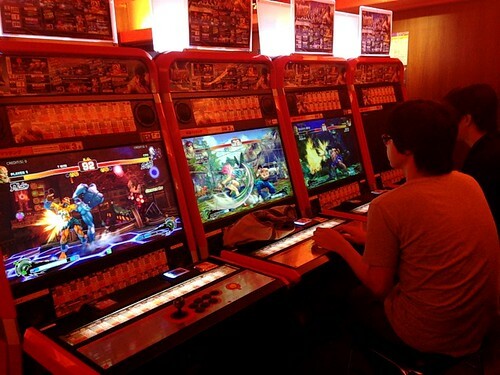 Checking how other gamers play on the main screen, Akihabara. I’m on the lowest level of Street Fighter IV, but still one of my favourites. UFO Catchers machines in every game center, Akihabara. 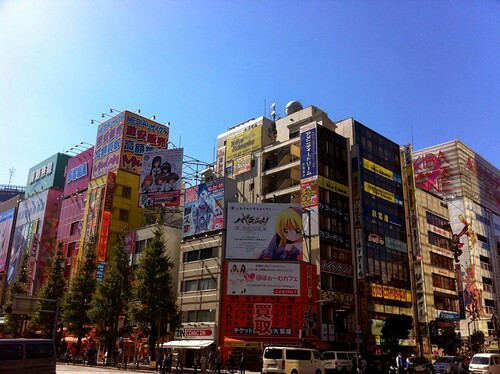 As many shops as you can imagine dedicated to the manga and anime culture. From the latest blockbuster volumes, to second hand shops and classics. With a bit of practice and entering the shops, it becomes easier to find what you’re looking for. In any case, ask the staff if you want to save time, and be sure to say it the “japanese way” of the manga you’re looking for. 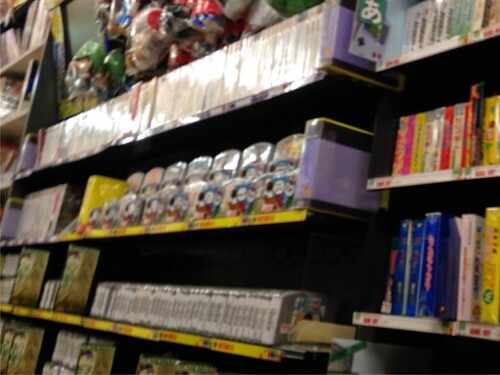 Manga, anime and more in Akihabara shops. 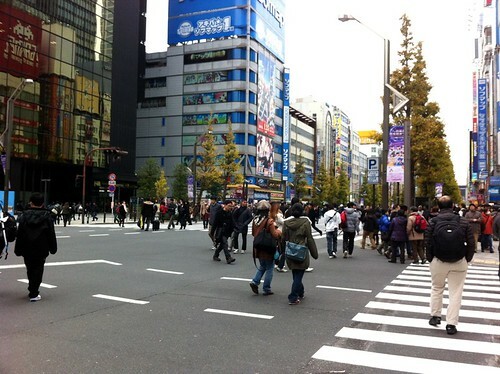 Streets are closed to traffic on sunday in Akihabara. 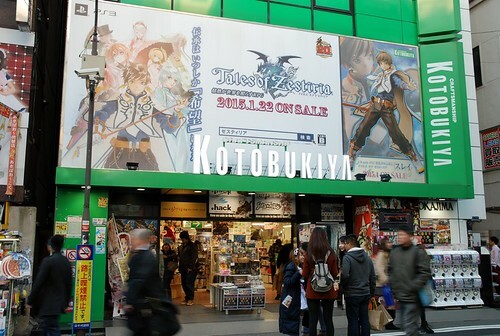 The most popular series and phenomena have their own themed shops, like Gundam café, the saga Tales of at Kotobukiya, and the Worldwide known idol band AKB48, with their own fan place and theater inside Don Quixote shop. Maid café had a boom some years ago. On my first trips to Japan there were a lot more Maid cafe shops, and also I experienced going to one of them with a friend. We had a fun time and was a real different experience, but for us, once was enough. Maid cafés are still popular but is not only anymore the maid scene, there’s a lot more variety of themed shops, like vampires, high schools, ninja, and so on. 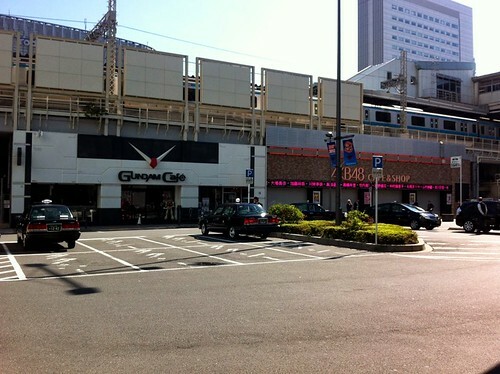 Gundam café and AKB48 shop next to Akihabara station. 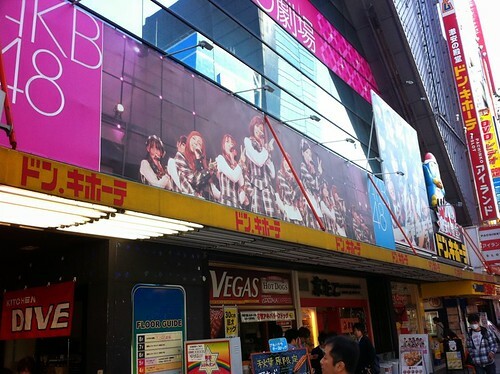 AKB48 Headquarters at Don Quixote, Akihabara. 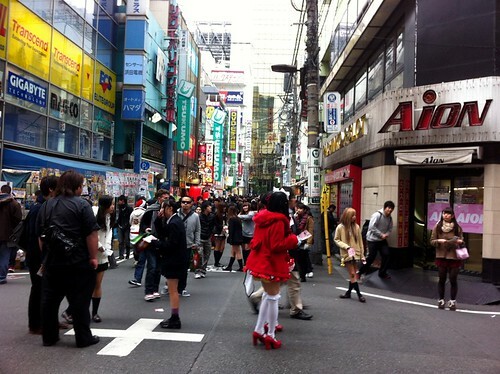 Walk around Akihabara to see all the way cute girls promoting their shops. Maids getting the attention of people passing by in Akihabara. 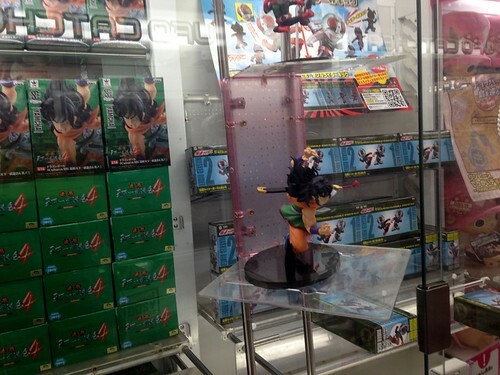 Along with manga and anime, the most popular series have a lot of merchandise and goods related, specially, the collectable figures of the main characters. 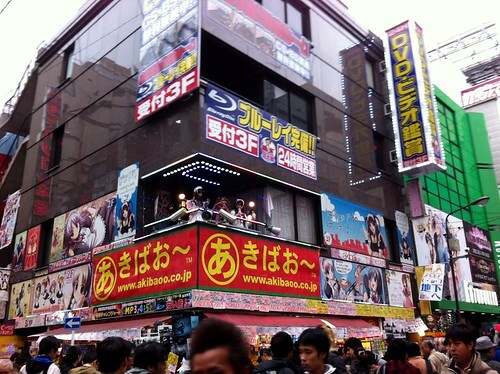 In Akihabara there are many specialised shops and entire buildings dedicated to merchandising. 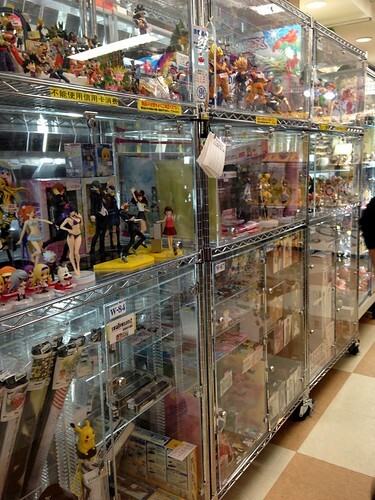 Figure and merchandise shop, Akihabara. 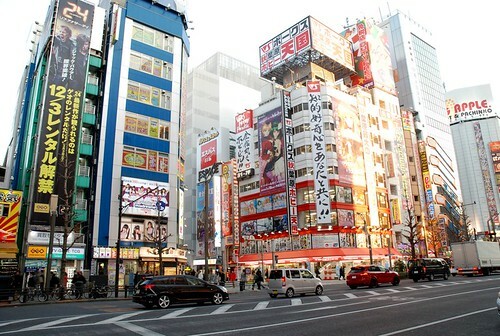 Akihabara, best known for Electronic Town, has a lot of specialised shops in the matter. PC parts and hardware to build your own computer, small shops in the alleys, and video game shops. 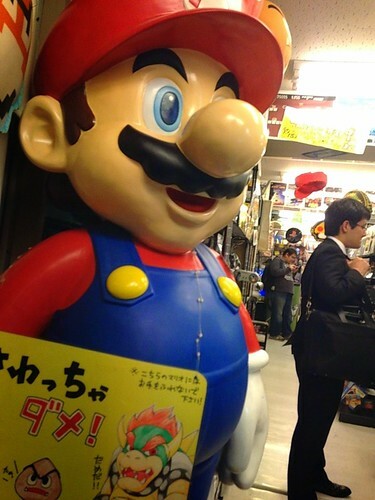 My favourite shop is Super Potato, a retro gamer shop in the heart of Akihabara. 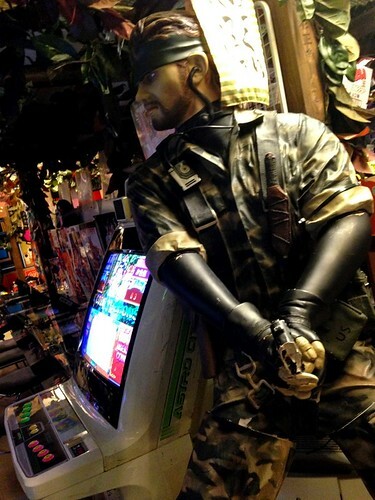 Snake, bodyguard of Super Potato, Akihabara. Retro games at Super Potato, Akihabara. To check out on every single shop of Akihabara is an exhausting experience, as you get attracted to enter them, and when you finally decide it’s over, you realize it’s late and already night time on the streets. Or stay a bit more and have dinner in the area.